It is part of the Terra Suite. It allows you to generate a terrain splatmap procedurally in the Unity3D Editor. Changes are done in real time. It uses the power of your GPU to apply your set of painting rules and in few milliseconds paints your entire landscape. 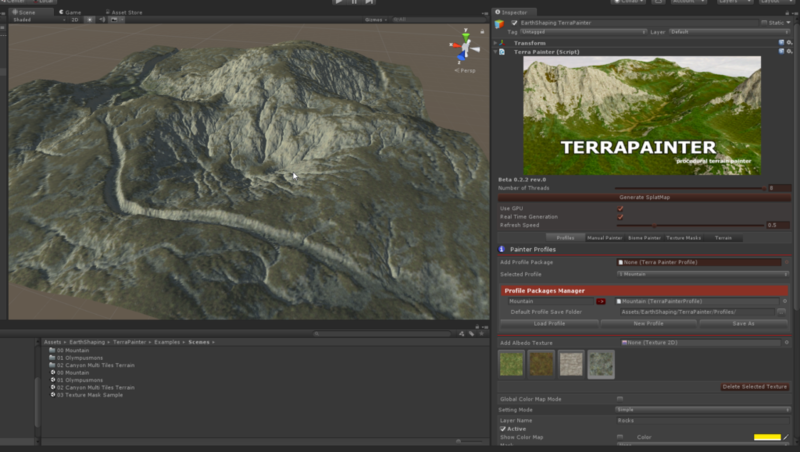 This greatly improves your terrain creation workflow, both procedural and manual. Using this tool you can paint everything, procedurally or manually ( in next release ). And you will get benefit using the powerful profile system that allows you to store your setting and use in other projects.